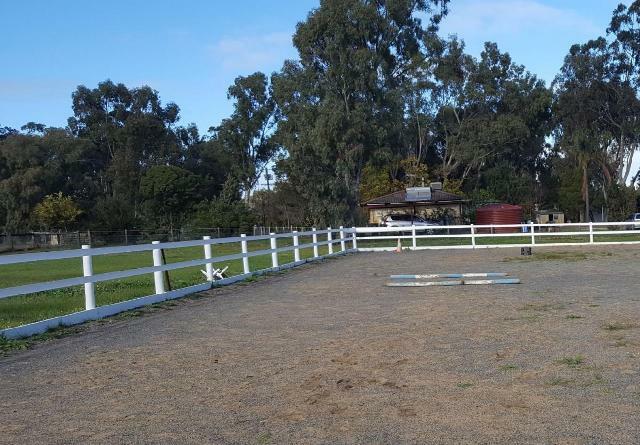 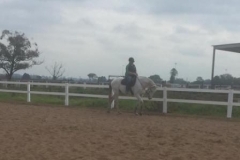 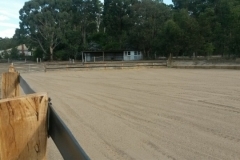 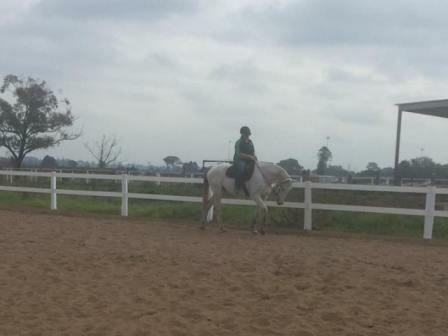 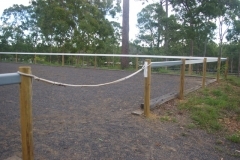 A single white rail horse arena fence, highlighting the use of the traditional H Brace neatly tucked behind the rail. 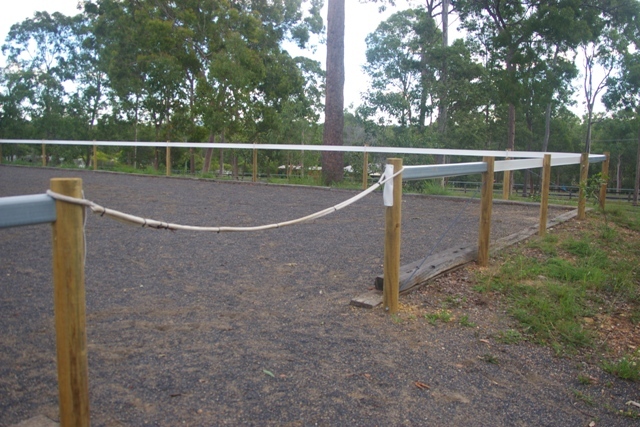 A classic two rail white horse fence compliments painted timber posts for a striking looking arena. 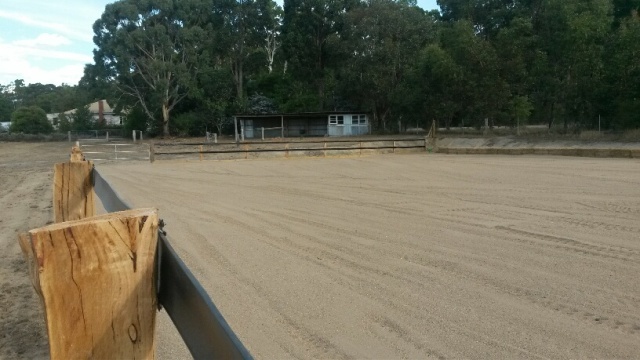 A double black rail on hardwood timber posts makes for a beautiful rugged looking horse arena fence. 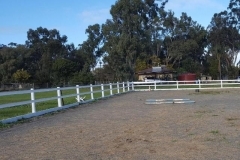 Two white BounceBack (R) used on painted timber posts to create that classic dressage arena look.